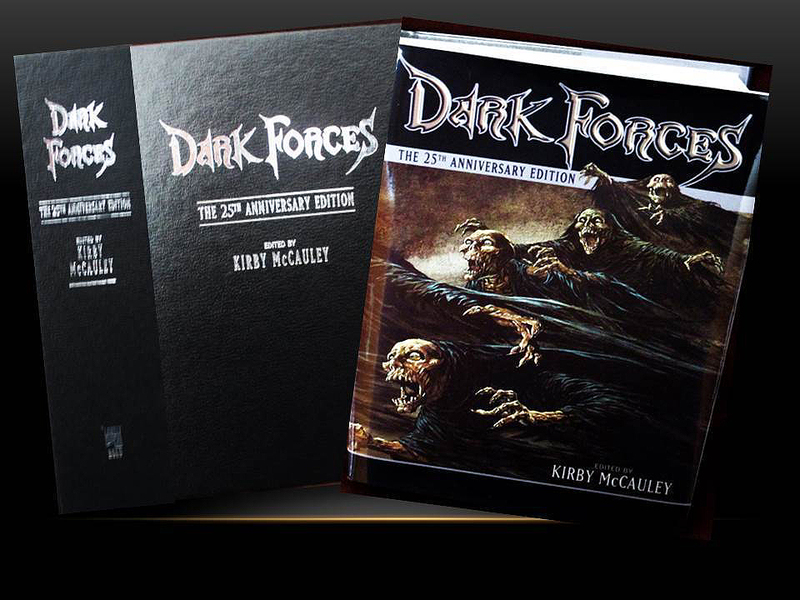 Click Here To See 'Dark Forces' Boxed Set And Book! 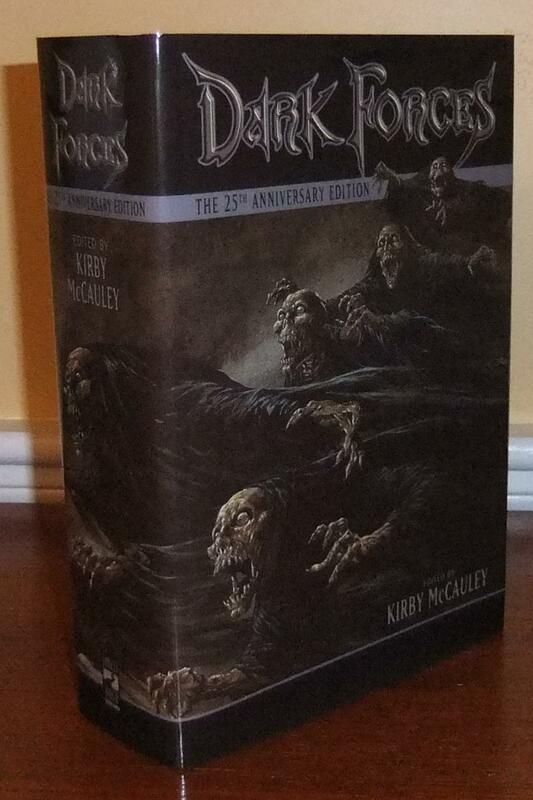 Click Here To See 'Dark Forces' Boxed Set! 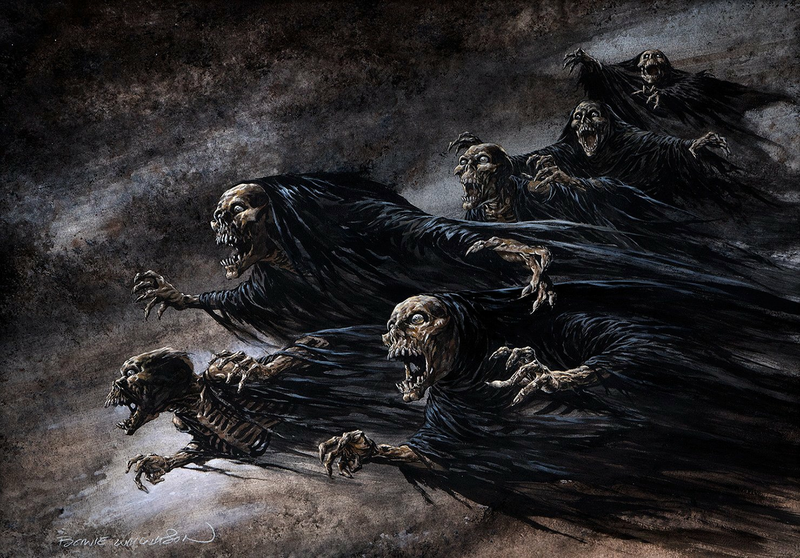 Check out this STUNNING VERY LARGE Original cover painting created for the "Dark Forces" 25th Anniversary Boxed Edition set by Bernie Wrightson. Very large image area measuring 30 by 21.5 inches on artist's board...from the noted Wrightson collection of acclaimed film director Frank Darabont (Shawshank Redemption, The Mist, The Green Mile). This piece was also featured and screen used in the film adaptation of Stephen King's "Riding the Bullet" as The lead character is an art student and Wrightson was the creator for the student's art in this film. This GREAT cover painting features several Grim Reaper type skeleton cloaked figures flying through the air...the detail is quite extraordinary on this stunning cover! Compare this nice cover art to the published books in the red links above! ALL art on our website (including this one) are able to be purchased with VERY fair time payments, and trades are always considered towards "ANY" art on our website! Just send us an email to mikeburkey@aol.com and we can try to work something out.